CinemaBomb: Вот и осень / Aki tachinu / Autumn Has Already Started. 1960. Вот и осень / Aki tachinu / Autumn Has Already Started. 1960. 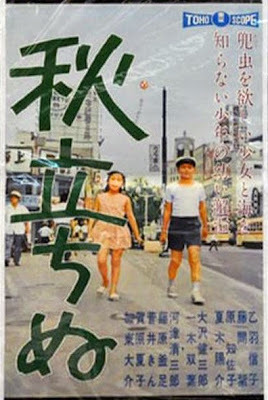 Single mum (father of child dead) from the country with 6th grade boy comes to Tokyo, leaves the boy to live with his uncle's family - wife, male, female teens, run a struggling greengrocer - and lives/ works in local inn. He gets bullied/ fights with local boys, goes to the baths, plays basketball, is befriended by his male cousin and becomes friendly with grade 4 girl who's the daughter of the innkeeper, who employs his mum and is the longterm mistress of a businessman from another town, who's the girl's father and who brings her half sister and brother to meet her but they're mean to her. Meanwhile the boy's mother gets friendly with one of the inn's clients and chucks her job for a trip or something more permanent with him. The young girl takes him shopping, and wants the boy to live with her and her mother, but mother and father refuse so the two kids go to a seaside where he sprains his ankle and they're late back even though the police get them and they're in trouble. The boy loses his beetle and tries to get another for the girl for a school project but when he does, she's moved house with her mother at the urging of her father. Clear? It's better in the film. Режиссер: Микио Нарусэ / Mikio Naruse. 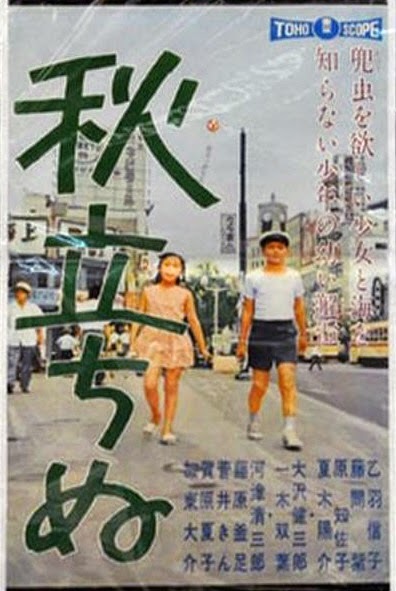 В ролях: Nobuko Otowa, Jun Fujimaki, Kamatari Fujiwara, Yôsuke Natsuki, Natsuko Kahara, Daisuke Katô, Seizaburô Kawazu, Hisako Hara, Kin Sugai, Naoya Kusakawa, Murasaki Fujima. Download Вот и осень / Aki tachinu / Autumn Has Already Started.